Get automatic reminders for all team members when your domains and SSL certificates are going to expire. If you have domains and certificates registered with multiple companies, it can be tricky to keep track of them all. 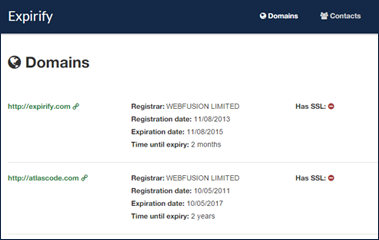 Expirify lets you decide who should be reminded about upcoming domain and certificate expiry dates, whether that's just you, your clients, or your whole team. 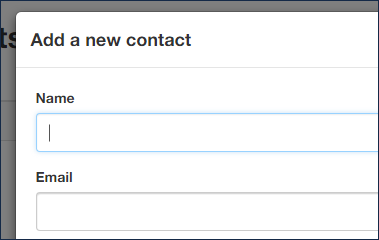 You control who gets the email notification. 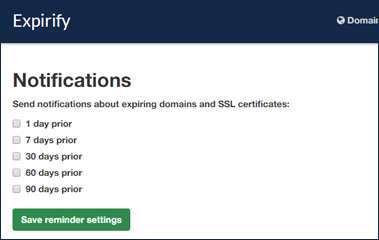 Expirify lets you see all of your domains and certificates in one place. Keep track of when and where and when they were registered, the registrar, the domain expiration date, SSL certificate (including version number) and when the SSL certificates will expire. These are a few of the companies who use Expirify.